We are excited to be hosting a Show and Tell event in Dubai on August 8th. 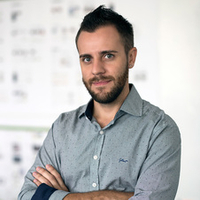 This event is a great opportunity to share ideas and meet Toptalers like Guilherme Rodrigues, a Toptal designer. Feel free to bring a guest if they would enjoy meeting the community, or learning more about the company. Join us at Common Grounds from 7:00 to 8:30 PM.